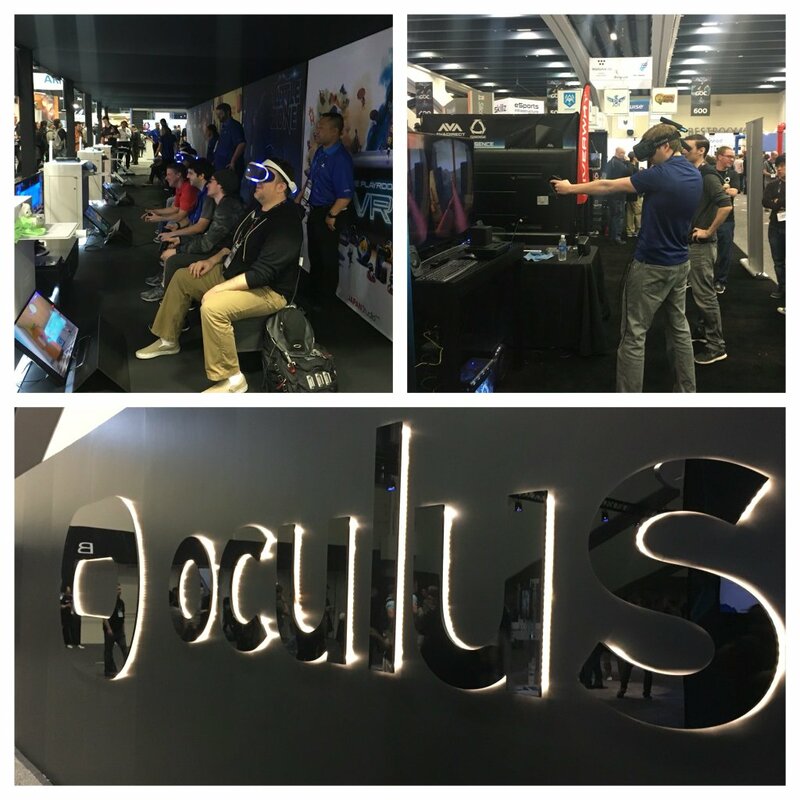 I spent a few days last week exploring the expo floor at GDC, and the presence of the VR hype train was unavoidable. 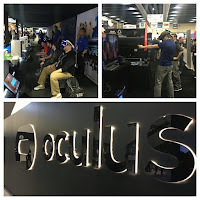 The emergent VR technology is something that, like many other designers, I want to believe in. The possibilities are certainly there. There is a world in which this technology could significantly change how we make games in the future. Unlike many however, I'm just not entirely convinced that it's this world, or that now is the time. 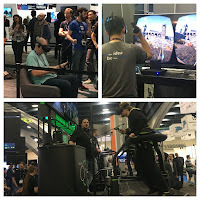 Coming out of GDC I know that there is definitely a use for the VR tech, and that it will have some influence on the entertainment industry one way or another. For a start I think that Disney World and the like, will be home to some awesome experiences after this technology propagates. For things like exploring Tatooine, in a space designed specifically for immersion, I can see a tremendous application for this technology. I can't wait to see what the 'Imagineers' at Disney create with it. I'm not however, so sure that I will ever want to use this technology in my home on any kind of consistent basis. It's isolating and often uncomfortable, at least in it's current incarnations. More importantly for me it also lacks a vital design element right now, and that's a common control vocabulary. As a designer this bothers me the most. 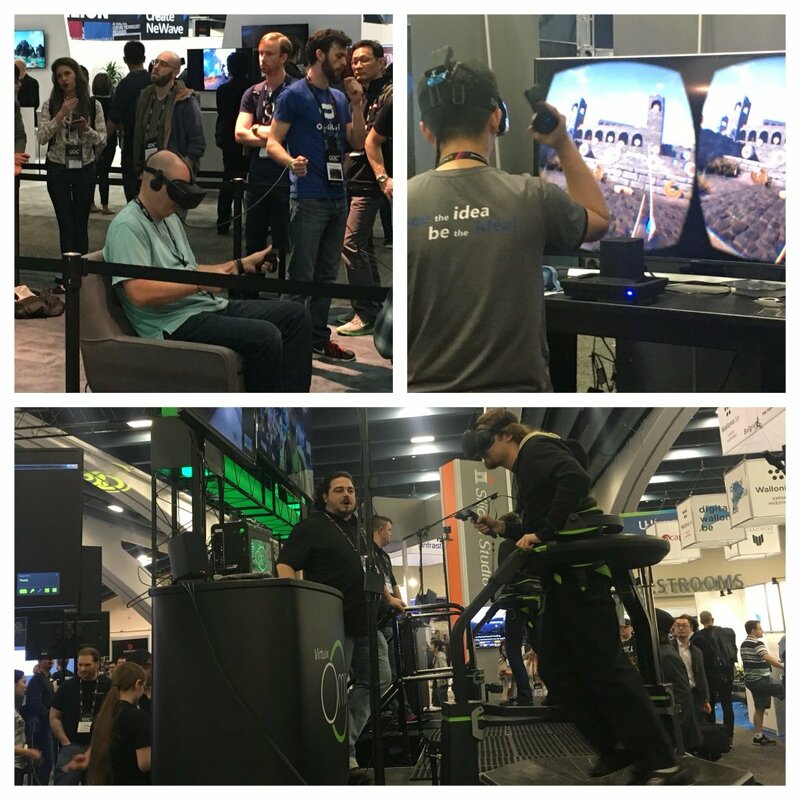 I guess in part it's due to the fact that we are still in the hardware 'arms race' part of the VR gold rush. There are so many competing systems, that none of them seem particularly concerned with what is the best solution for the end user, they simply want it to be their solution. Right now every single place you go to try a VR demo, you encounter a different control scheme. Hell, PlayStation even has multiple control systems at play within it's own offering (the PlayStation Move and their regular controllers). That means that we still seem some distance away from having anything resembling a universal design language for the medium. It is not intuitive to use this technology yet. Ignoring the initial costs of the vanguard implementations, I fully expect the cost to go down over time, this lack of continuity seems to me to be the largest hurdle the technology faces. Until such time as the ability to move and operate in these virtual spaces becomes intuitive it will be very hard for designers to best adapt to the medium. It's the same passage that touch technology on tablets is really still going through (at least for games). I mean, that technology is several years old now, and we still see games with faked 'virtual controller' widgets as a control scheme, something that has always felt like a poor compromise. The best games on that medium are those that embrace the medium. VR faces that same challenge. That doesn't mean it won't happen, just that it might take time, which in turn means that the technology has to have the opportunity to mature. This requires some kind of worthwhile returns for those currently investing in the hardware race who hope to break into the mainstream. So it's potentially a 'Catch-22' situation. It's going to be fascinating to see if the technology wins over enough early adopters to allow it the time required to mature. As someone who has spent their creative career creating virtual worlds, this is a technology that I see as having tremendous potential. I'm just not sure we're as close as people think we are to figuring out how to realize that potential. There be interesting times ahead.